The Cartoonz Crew‘s new dance video has arrived. The members latest song “Kapuri Ka” performed on “Kapuri Ka” by Rupak Chaudhari. 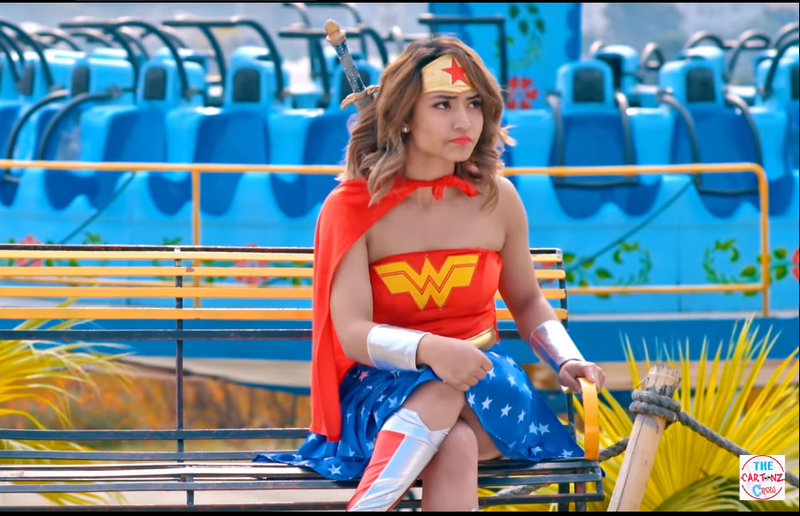 In the song, Aashma Bishwokarma is seen in a wonder woman avatar like never before. She is seen as a wonder woman in the video.Likewise, the other members (Saroj Adhikari, Lakpa D Lama, Ram Ghale, Subin Chauhan, Sajan Chauhan, Pemba Magar) are also seen in different avatars like Captain America, Superman, Spiderman, Iron Man, Hulk and Thor in the video. The video for “Kapuri Ka” was released on November 23 and is already trending on YouTube. Music for the song is composed by Kundan Thapa and is penned by DP Khanal. The video is directed by Saroj Adhikari and is choreographed by Adhikari himself and Subin.